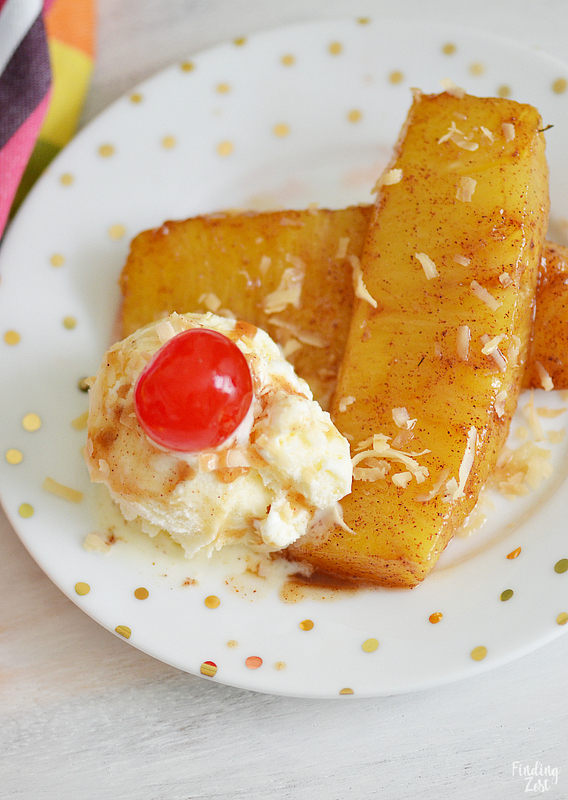 Thank you to Tai Pei Food for sponsoring this Cinnamon Fried Pineapple recipe post. All thoughts are my own. 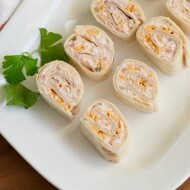 Preparing a delicious lunch or meal for one doesn’t have to be time consuming. 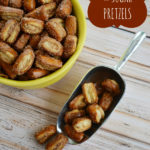 With this Cinnamon Fried Pineapple recipe paired with Tai Pei Asian cuisine entrées, I’ve got a lunch that satisfies with minimal time required. 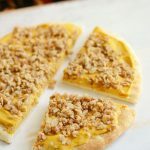 Read more to see how easy it is to make and enjoy this tasty combination with just a bit of prep work. Over the weekend I found fresh pineapples on sale for only $.98 each. I didn’t hesitate to grab two at that price. Since I was in a hurry I didn’t give them my usual sniff to see if these pineapples were sweet. Big mistake. Did you know that pineapples do not ripen once they are picked? When I cut into my pineapple it was pale yellow and not very sweet. It was so disappointing! So what do you do if you discover unripe pineapple once you start cutting it up? You do have a few options. 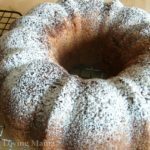 You can use it in any way that will allow you to add some additional sweetness from sugar, honey, maple syrup or other fruit. Typically I use unripe pineapple for smoothies or a homemade sorbet. 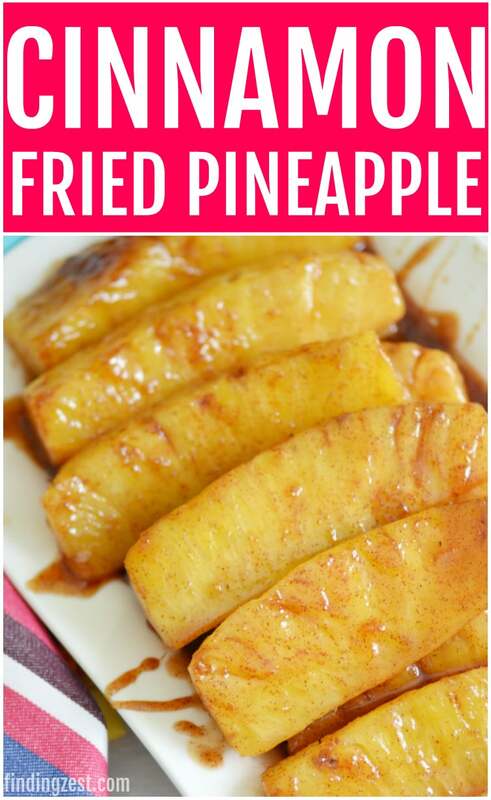 But my new favorite way to use unripe pineapple is to make fried pineapple! 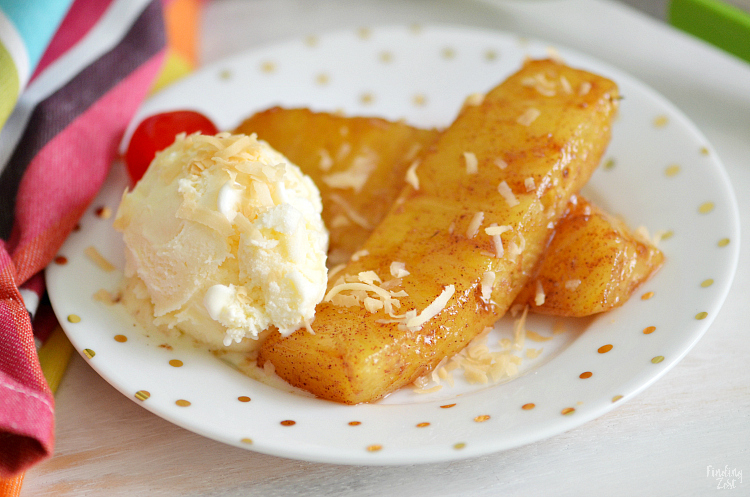 This cinnamon fried pineapple tastes a lot like the grilled pineapple we all know and love. 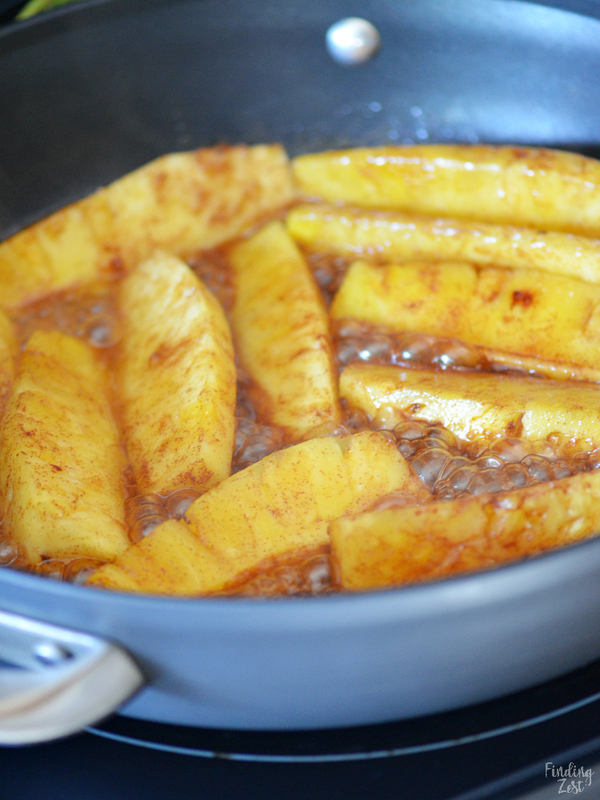 But because this is sauteed pineapple, it can easily be made year round in less than 15 minutes on the stove. 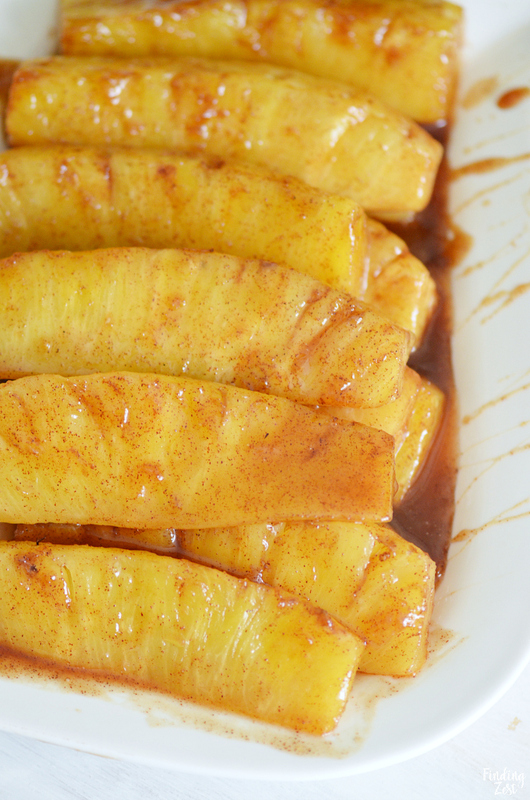 My sauteed apples recipe inspired this fried pineapple and I’m so glad gave it a try. 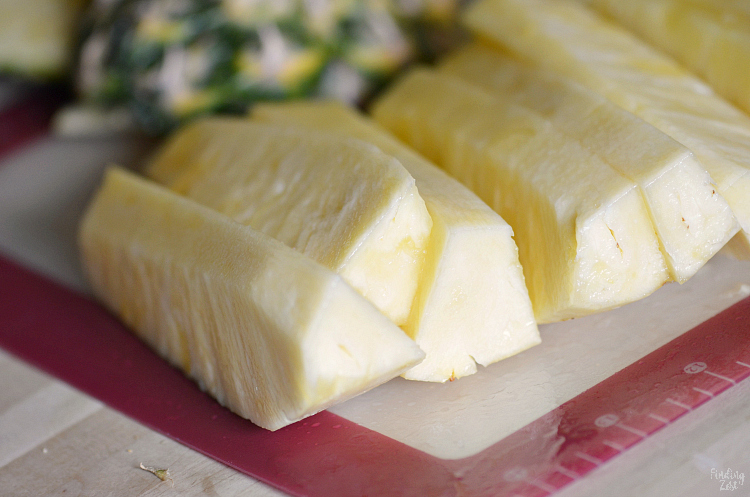 This sauteed pineapple is great served warm or cold. 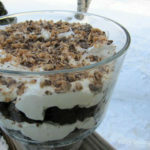 You can offer it as a tasty side dish or as a dessert all on it’s own. Use it to top your favorite ice cream or add a scoop of ice cream on the side. 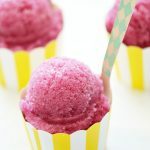 I tried it with a little toasted coconut and a maraschino cherry which gives it a tropical feel. 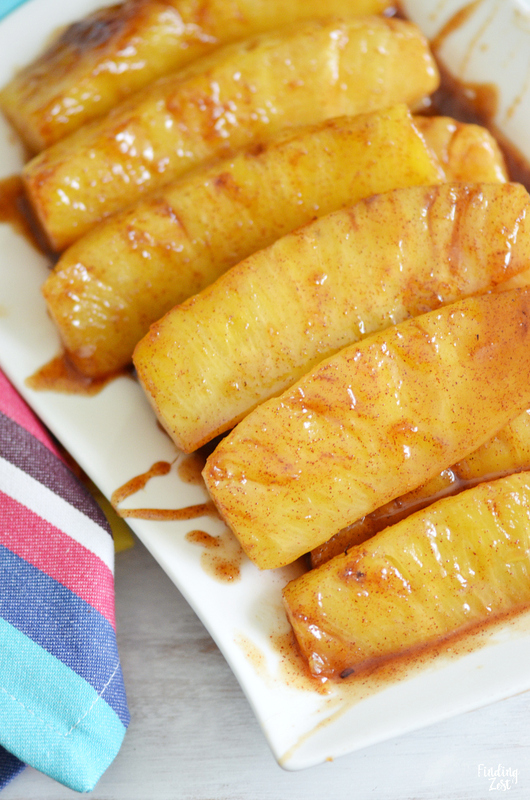 This cinnamon fried pineapple worked great as a side to an easy lunch with Tai Pei. I work from home so I have flexibility when I eat lunch, but I’ve been horrible about planning ahead for days when I don’t have any leftovers to eat. I’m making an effort get away from that habit. This fried pineapple paired so well with the Tai Pei Beef and Broccoli. 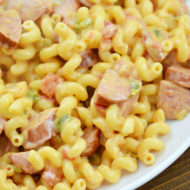 There are ten delicious entrée recipes and every variety is designed to deliver a restaurant-inspired experience straight from your own kitchen (or office microwave) in just minutes. The new packaging was designed to serve the perfect portion size to satisfy cravings, while allowing enough room for the tasty ingredients to steam perfectly. At first I thought there wouldn’t be enough to fill me up once it settled after cooking. But I was pleasantly surprised by the flavor and how full I was afterwards. Their entrées, like savory General Tso’s Spicy Chicken, include real ingredients and no artificial flavors, colors or preservatives. 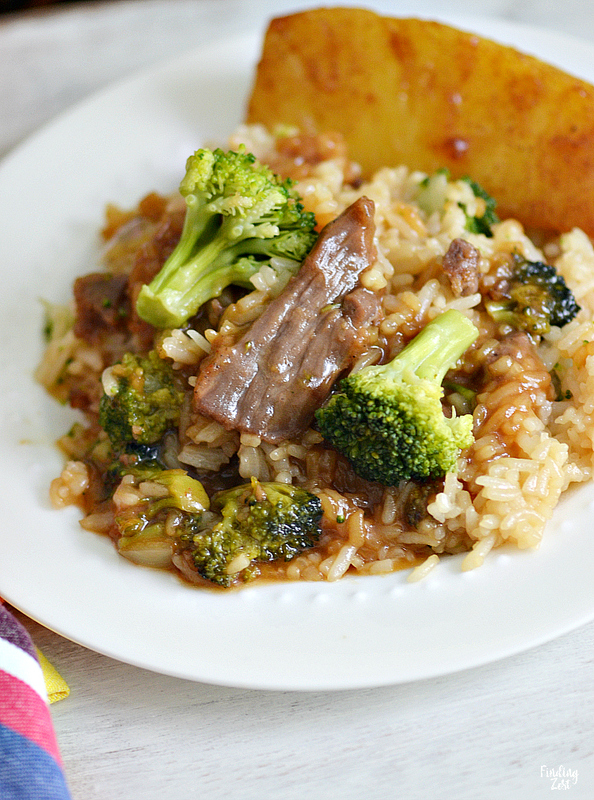 Cook your pineapple while your Tai Pei frozen entree is cooking like I did, or simply prepare ahead of time and enjoy it cold or warmed up as a tasty dessert or side dish with your favorite Tai Pei meal. Place pineapple wedges in gallon sized ziploc bag. Add brown sugar and cinnamon into bag. Gently shake until well coated. Melt butter in large frying pan over medium high heat. Add pineapple mixture and water. 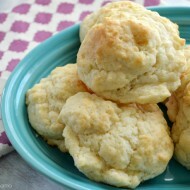 Cook over for 8 to 10 minutes or until pineapple is tender, flipping pineapple over occasionally. 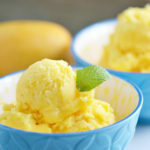 Cool slightly and serve warm as is or with toasted coconut ice cream and a cherry, if desired. Can also serve cold if preferred. 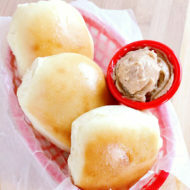 Visit Tai Pei entrees to learn more, including where to buy them. I found mine at my local Walmart Supercenter. 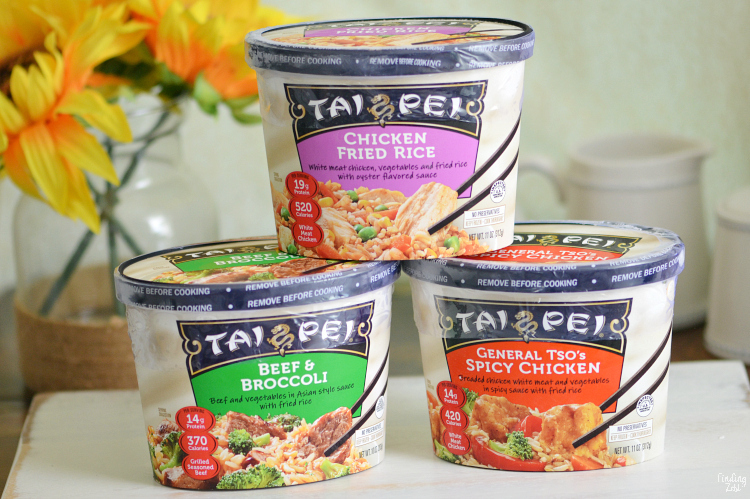 Which Tai Pei variety would you try first? Thanks. I usually leave my pineapple around until just before it starts to spoil out of fear of cutting too soon. No more fear of unripe pineapple! If this was all I ate for dessert for forever I wouldn’t even be mad. That’s how amazing it is! 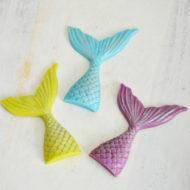 This is such a fun idea for summer! 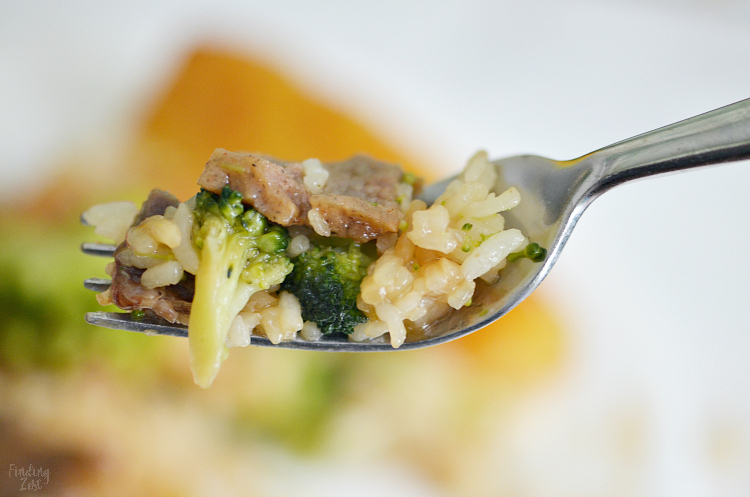 Perfect in a stir fry but honestly I could eat this separately with a fork and be happy!